I find myself scurrying about finishing up the last minute to-dos I delayed for way too long. 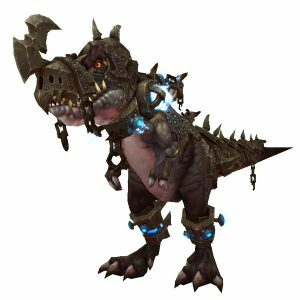 What I like about the different mounts are their abilities. For example, the Stone Guardians get a combat rez. Pets that are of the Core Hound variety have the equivalent of Blood Lust. I’m also going through raids to get some achievements and mounts. I did ICC 25 man Heroic to get the mount and did all of the challenges in order to get the hard mode achievements. That was pretty tough, and actually fun. I had to use my pet to distract the Lich King while stacking zombies in order to spread plague. Way more fun than actually fighting him back in 2009. That’s about it. The past week has been pretty much the calm before the storm. What are your plans for launch? I think I’ll hit my class order hall and do my quests there, then head to Highmountain for the mining quests. If you’re looking for a guild/group/friends in Legion, we’re always welcoming friendly faces to join our gaming community. Come say hey on Discord. I put it off for too long so I am rushing to level up my mains professions (mining and engineering). Also been doing some old raids and probably what I will be doing until right before launch after finishing professions. I plan to already be in Dalaran and hopefully be on right when it unlocks since that’s still about 4 hours before I need to go to bed (one of the perks of working 2nd shift) and hopefully get a level or even 2 before needing to sleep. I’m happy for you. The anticipation is so much a part of the fun. And your doing old raids sound a little like me in Allods where I was soloing old stuff. Enjoy. @Drathmar: I leveled my mining to like 420’ish and my Engineering to almost 700. I think that’s enough. I’ll be logging out in Dalaran tonight but not staying up. I’m still pretty sick (bad cough, chest cold) so I can’t justify weakening myself for WoW. @Sanz: Indeed! The anticipation is the best of MMOs. Did you solo ICC 25? @Feena: I do too! He’s a fun fight. They do have the mounts, but they’re uber rare. @Keen: Ya I got mining to like 580 and my engineering to 625 before launch, I was up for launch which was nice, I was the first person in my guild to get the quest to start everything (apparently unlocked in waves). Also, the most surprising thing… smoothest MMO launch I have ever seen. No lag, no glitches, no crashes, it was super smooth. I was amazed and in Awe.